A cover illustration for The Journal of Aesthetic Nursing on the jawline as we age. A more recent understanding of the effects of restoring the jawline have given consumers a much higher rate of satisfaction in nonsurgical facial rejuvenation. A cover illustration for The Journal of Aesthetic Nursing on Platelet-rich plasma. Platelet-rich plasma (PRP), also known as autologous conditioned plasma, is a concentrate of platelet-rich plasma protein derived from whole blood, centrifuged to remove red blood cells. As a concentrated source of blood plasma and autologous conditioned plasma, PRP contains several different growth factors and other cytokines. A cover illustration for The Journal of Aesthetic Nursing on a comparison between dermal fillers and botox. Reviewing the safety and efficacy of injectable neuromodulators and soft tissue fillers in the rejuvenation of the lower face. A cover illustration for The Journal of Aesthetic Nursing on AGEING skin. The skin ageing process results in an obvious loss of volume, lack of structure, wrinkles and also visible photo-damage particularly on the face, décolletage and hands. Although ageing is a natural and inevitable process, current culture and media are strong influencers in the rise in the desire to obtain an improved and perfected appearance. 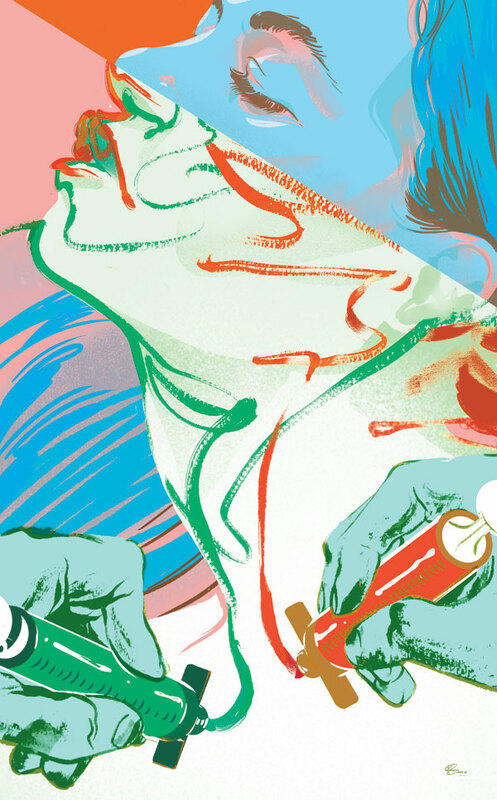 A cover illustration for The Journal of Aesthetic Nursing on hand rejuvination. As patients successfully achieve a younger facial appearance from rejuvenation treatments, a discrepancy between a youthful face and aged hands can become more obvious. As a result, hand rejuvenation is becoming an increasingly common request of patients presenting to dermatologists, plastic surgeons and aesthetic medical and nursing practitioners. A cover illustration for The Journal of Aesthetic Nursing on sun damage. 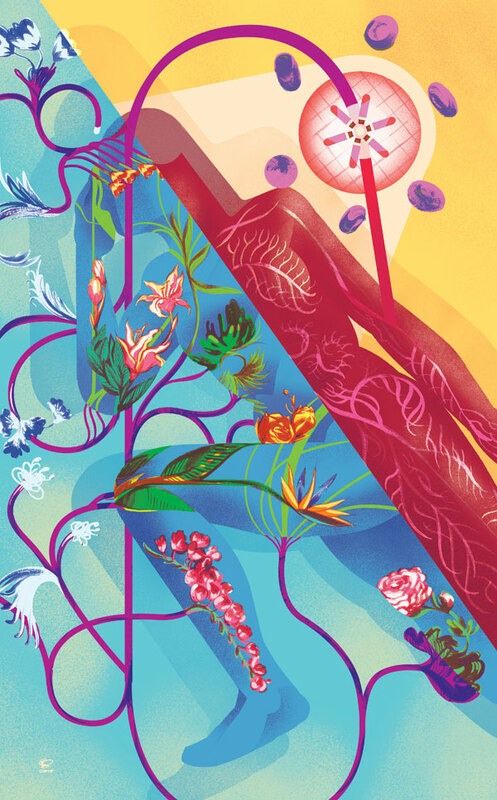 A cover illustration for The Journal of Aesthetic Nursing on laugh lines.